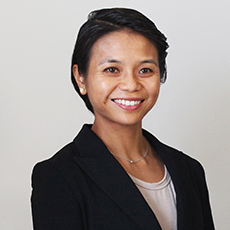 Mai Truong is serves as Freedom House's Research Director for Strategy and Management. Truong formerly served as the program manager for Freedom on the Net, Freedom House’s annual survey of internet freedom in 65 countries around the world, and continues to direct the project. She also serves as the internet freedom expert and analyst for Sub-Saharan Africa and parts of Asia. Her commentary has been cited in the New York Times, Quartz, Deutche Welle, Foreign Policy, and others. Prior to joining Freedom House in 2012, Mai worked as an advocacy coordinator at the international humanitarian aid organization, Action Against Hunger, and was a research assistant at Yale University studying women’s rights and access to land in rural Uganda. She holds a bachelor’s degree in international studies from the University of California, San Diego and a master’s degree in international relations from Yale University.